Cranberry Township is looking for approximately 200 adults to help rebuild the 18-year old playground adjacent to the Community Waterpark in North Boundary Park. The project, under the supervision of KaBOOM!, a nonprofit organization which has coordinated playground construction in thousands of communities throughout the United States, will involve three volunteer phases. Registration for all three is available online at www.tfaforms.com/4681944. All volunteers will receive a commemorative tee shirt. Breakfast, lunch and water will be provided at the site, as well gloves and other safety materials where needed. Phase One, on Tuesday, October 2, will require 30 volunteers to help sort, package and prepare the materials for distribution to the volunteers who will be coming two days later to landscape and assemble the playgrounds features. Check-in for Phase One is at 8:00 AM. Phase Two, on Wednesday, October 3, needs 15 volunteers to be available on a standby basis to complete any prep work left unfinished the previous day. Check-in is at 8:00 AM. Phase Three, on Thursday, October 4, is the Build Day. Two hundred volunteers will be needed to install the landscape features and put the pieces of play apparatus together. Check-in is at 8:00 AM with a kick-off ceremony at 8:30. Conclusion of construction and ribbon cutting are slated for 2:30. Design of the playground was guided by the imaginations of children from around the Cranberry area who were asked in August to draw their dream playground. Features of the final design were extracted from those drawings. 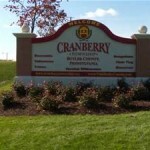 The Cranberry Playground is being built in conjunction with the Pennsylvania Municipal League, an association of municipal officers whose annual conference is being held this year in Cranberry starting on Build Day. It will be the League’s 8th playground build in Pennsylvania. Volunteers at every level of skill and ability are welcome to participate; no prior construction experience is needed. However, those under 18 will be limited to side projects and must provide written parental approval to participate. Closed-toe shoes, such as sneakers or work boots, are required. Playground construction will go forward rain or shine. The post Volunteers To Upgrade Playground appeared first on ButlerRadio.com – Butler, PA.